This is not an official M.I.L.K image. M.I.L.K was held in 1999 and was the world's richest photographic competition with prize money of US$100,000. 17,000 photographers from 164 countries submitted 40,000 images. The acronym M.I.L.K stands for Moments of Intimacy, Laughter and Kinship. Sometimes (particularly men), get too bound down with the technicalities of photography and overlook the human emotional aspects. One such aspect is the way that two people relate to each other - how their bodies touch and link, their facial expressions, their body language. When photographing a couple, look for the natural connection between them, rather than the artificially posed one. Observation, patience and an genuine desire to befriend your subjects will help. 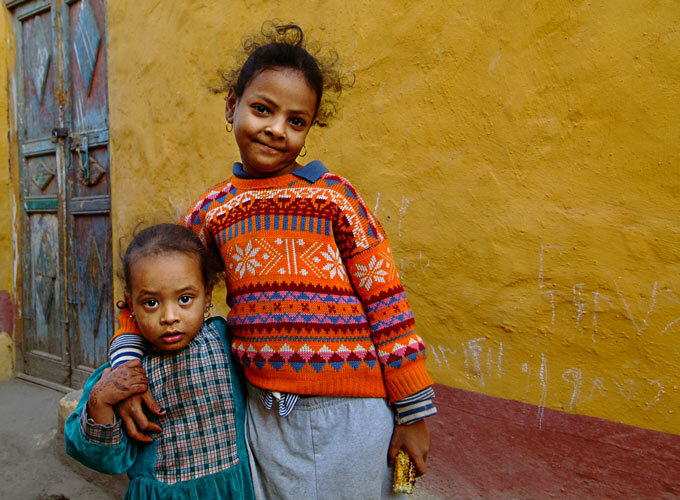 My image was taken on Elephantine Island in Egypt in January 2007. I was using a Fuji S3 Pro with a 12-18mm Nikon lens. 1/125 sec @ f5.6, 400 ISO, 19mm FL. Aperture Priority. Enter the Fremantle Portrait Prize here and win AU$5000 cash. Entries close 1 August 2012.